Do you always find it difficult releasing a shot to the flagstick on your golf course, especially if it is positioned among trees or other objects? 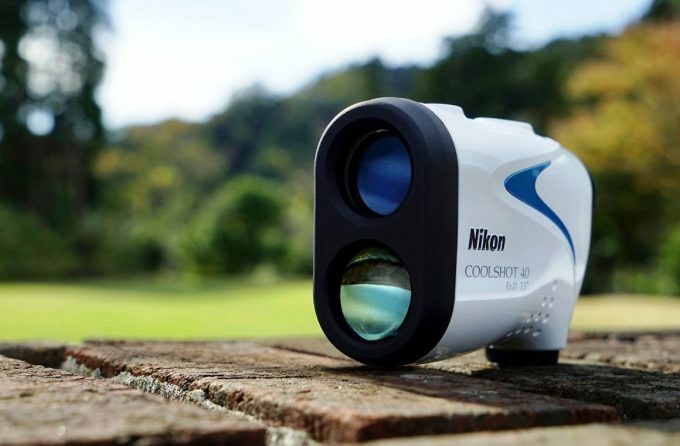 Here is good news for you, there is an innovative device called the Nikon COOLSHOT 40 Laser Rangefinder, adored by golfers who aim to improve their skills and efficiency, especially during tournaments. The device has an in-built first target priority mode that can help you aim your shots and hit the flagstick with a high degree of precision, despite other objects surrounding it. If you are a good golfer and looking for the best rangefinder that can help you in competitive games to release the right shot to the flagstick with greater accuracy, look no further. This device, regarded as the best handheld and most powerful tool ratified by USGA among the Nikon products will definitely enhance your skills and you will be a confident striker. The device has a power button that is very easy to operate and can give you 8-second continuous measurements. It is very compact and lightweight with great features enabling you to measure and estimate the distance to the flagstick precisely. COOLSHOT 40 is a versatile tool and you do not require reflectors or satellites in order to get the actual readings of distances between objects. It has another advanced technical feature like the potential to range any object within sight, including flagsticks, golf carts, hills, bunkers, trees, doglegs, and even lakes. Below, you will find the distinctive qualities we just mentioned, like design and durability, packaging, ranging capabilities, and other competitors in the market. Add to that the pros and cons, and manufacturer’s warranty information, which are regarded as the unique selling features of this product. After reading all that, you’ll be able to decide the type of ranging gadget to purchase according to your budget and the one that can offer you an equivalent value for your money. 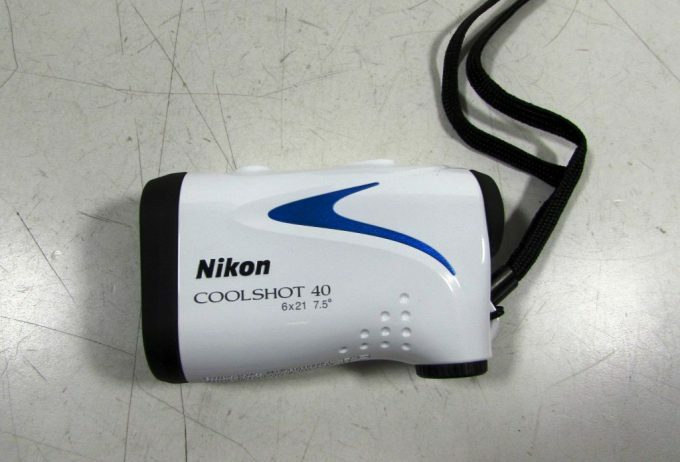 COOLSHOT 40 is a multipurpose device, compact and lightweight, ratified by the USGA for local rule compliance with 14 – 3 tournament play, a powerful and convenient tool for viewing objects behind or before even on your driving range and not just measuring the distance to the flagstick in the game of golf. This is an extraordinary and excellent technological product from the stables of Nikon, featuring a 6x monocular, high-quality optical clarity, speed, and accuracy. With it, you can sight your golf course or driving ranges with greater precision since it has the first target priority mode that you can activate with the push of a power switch. 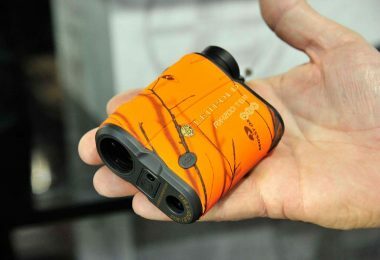 Do you know that this laser rangefinder is more relevant than your GPS watches? Really no guessing of distances and you do not have to reset or update it every time because it has an automatic updater anytime you switch it on. COOLSHOT 40 is a world-class tool and exclusively indispensable to high-class golfers, engaging in tournaments and desire to maintain top positions around the globe. 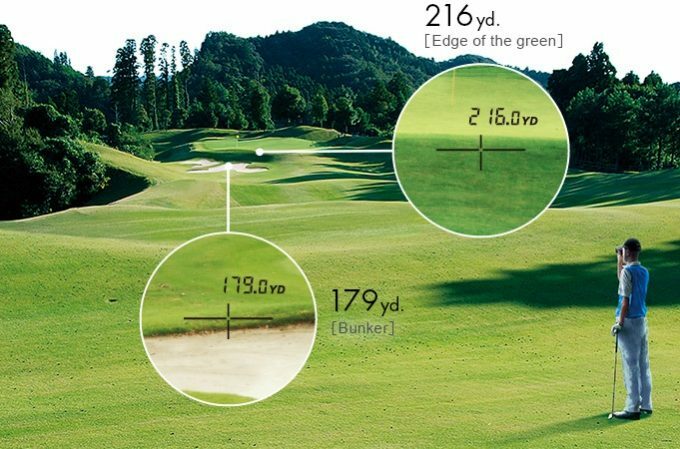 That’s because it always offers accurate range measurements on the golf course. 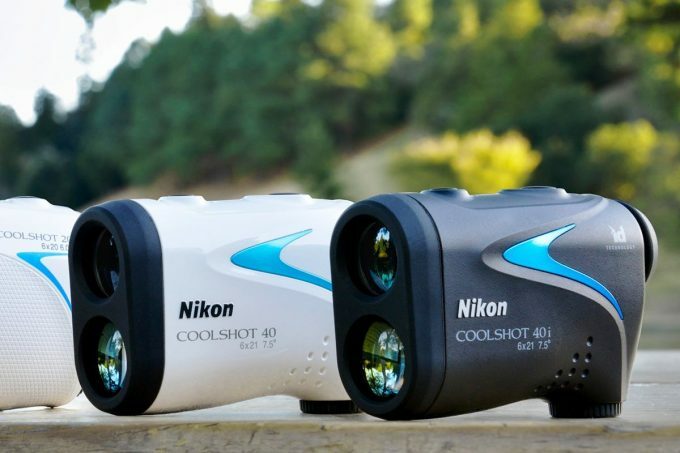 Furthermore, the capacity of this instrument to capture objects on the golf course or driving range precisely is absolutely a remarkable ability, which only Nikon rangefinders can display effectively. However, a frequent practice can make you a perfect golfer even if you don’t have a steady hand or you can’t focus the lens directly on the range due to any defect in your body. Let’s dive into its every feature separately and see what this rangefinder can do. This rangefinder is packed in a card box measuring 4.4 x 1.4 x 2.8 inches. It is compact, lightweight, and weighs only 5.6 ounces. You can conveniently backpack the device to any location since the package is small, even if you are tracing doglegs in the field, you can simply pick your COOLSHOT 40 and capture the sight very fast and accurately. It is easy to use the device, which you can remove from the pack, assemble within a few minutes, and begin to sight your ranges either the golf course or driving range respectively. The product is packaged with a charging cable and a rechargeable lithium-ion battery, which always come in handy. This rangefinder is designed as a handheld device with hyper read technology that can give you accurate distance readings from 8 to 650 yards. Despite the distance to the object or flagstick, you will get the measurement in approximately 0.5 seconds, with increment readings every 0.5 yards. The long eye relief is 18.3 mm, which feels extremely comfortable. Another great feature is the first target priority mode that can give you the precise reading of an actually targeted object amongst other objects in the range, like trees, houses, bunkers, and even the flagstick. That’s especially if it is placed behind those kinds of stuff. Furthermore, the durability of this device could be established, as it is packaged with a CR2 lithium ion battery that can last for many years in the system. That will help you enjoy an uninterrupted and smooth ranging experience for a longer time. 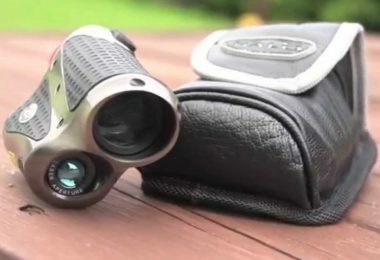 Locating some objects and estimating the distances between you and your targets can be very difficult; however, with this versatile Nikon rangefinder, you do not need to use reflectors or satellites to establish the various ranges between them. Some of these things include golf carts, flagsticks, trees, hills, lakes, bunkers, and, live we’ve said before, even doglegs. 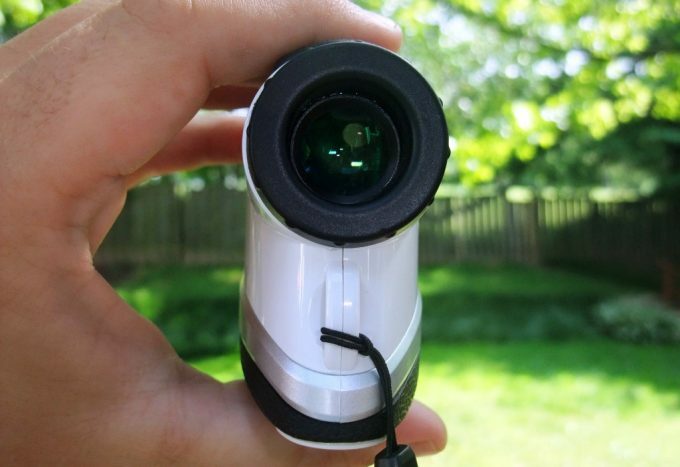 Distances between you and some dangerous sites and spots such as mounds, holes, trees, pins, and other deathtraps can easily be established with the help of this sophisticated rangefinder. An in-built power button facilitates a continuous measurement or ranging for about eight seconds, giving the accurate distances between objects, it is extremely useful if you are ranging smaller objects. The versatility of this product is incredible and it is immensely valuable, as it has no substitute like reflectors or satellites that could be needed to find the distance to a targeted object. Moreover, you do not need to waste time trying to figure out the possibility of capturing a desired object among a group of objects, because this product displays a revolutionary technology labeled first target priority mode. This used to find the accurate reading of the distance of a targeted object within a set of other objects located in the same range. Have you tried to hit a flagstick placed in front of some trees? You will appreciate the importance and utility value of this rangefinder if you place a flagstick in a range with some trees obstructing your view. 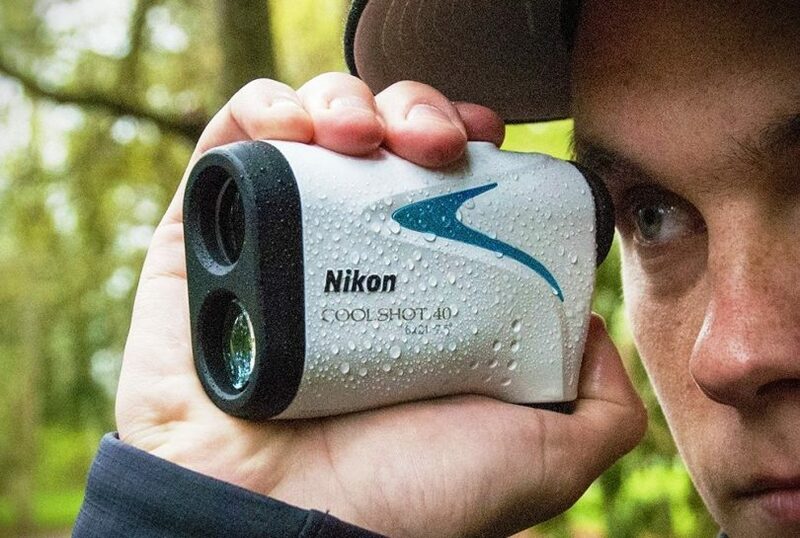 The USGA approved this rangefinder among other sets of Nikon products because it is convenient and powerful with a hyper read capability to enhance faster and more accurate measurements, even if the object is located at a farther distance from you. Are you a golfer with a desire to improve your game during competitions? Then this rangefinder will be of use as it is allowed in tournaments due to its relevance. Have you ever operated a waterproof rangefinder that is handy and relevant even when the weather is unfriendly? COOLSHOT 40 is made to resist extreme weather conditions such as storms and humid climate and you will be able to continue using this system even in heavy downpours outdoors. Yes, you read it right. This rangefinder is definitely waterproof and reliable; you can use the product in unfriendly weather conditions such as rainfall and humidity that have the potential to affect its performance and functionality. Furthermore, it has hyper read mechanism that can display faster and precise measurements despite the distance between you and the flagstick or other objects within the range. This product has the capacity to show measurements and ranges in half-yard increments and can capture the position of your ball or any object farther than 600 yards away from you. That’s thanks to its bright and perfect optics that can aid your view, even during golf competitions. Among all other ranging products, COOLSHOT 40 has incredible ranging potentials making it outstanding in the market due to its accuracy and simple structure. The ranging capacity is between 8 yards to 650 yards with 1/2 yard increments, while the accuracy is rated as +/- 2.25 feet; the diopter adjustment is +/- 4°. You’ll also get a pretty decent visibility thanks to the CR2 lithium battery used, as well as the objective diameter of 21 mm which is good for dim light. The desired object or flagstick is immediately identified from the base of the range using the first target priority mode to enhance the accuracy of your targets and the power output is measured to be .0975 milliwatts. Do you want to have an accurate multiple and continuous measurements of your desired target? Then, press and release the power button, you will surely witness an incessant ranging scanning through various objects. At approximately $240 you will enjoy great value by purchasing this rangefinder, as it will help you locate smaller objects easily, and you will know the distances to hazards, trees, mounds, and pins if you can simply push the power button on the device. Establishing the distances to smaller or tiny objects will be actually easy with the aid of your COOLSHOT 40 device, which is valuable in giving multiple measurements and continuous ranging for about eight seconds. Don’t you really think that a device that has the tenacity and ruggedness to withstand the harsh elements of the weather is really invaluable and indispensable to you? I know that your answer is a definite yes because the weatherproof feature of your rangefinder is a great value for money among other benefits. Meanwhile, the company offers you a warranty service for 2 years from the period of purchase of the products. You will get a repair or new replacement free of charge if your product is damaged during manufacturing, packaging, and shipping processes. 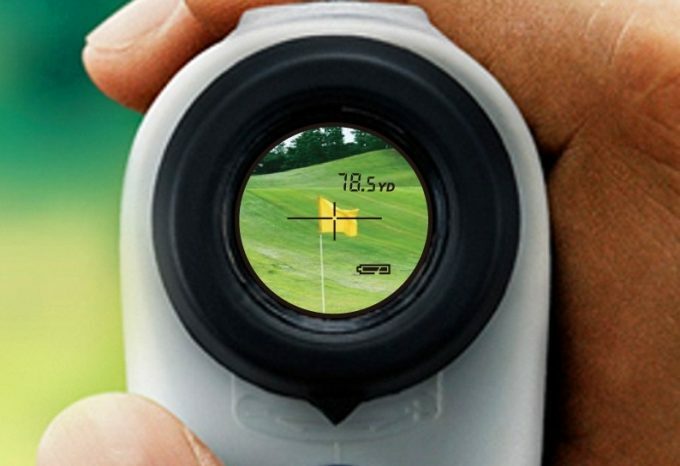 Do you want to make a buying decision on the best rangefinder suitable for you? Making a decision on the type of product to buy is real, difficult based on their respective unique selling features. Other considerations to make are the value for money, and of course, your budget for such an accessory at that particular time. Therefore, a quick and brief comparison of similar rangefinders in the market will help you to know the one that can fit your purposes and then, purchase it. 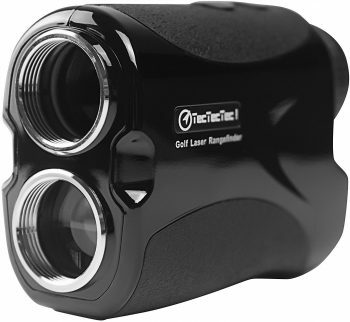 TecTecTec VPRO500 Golf Rangefinder is another great device and can capture measurements of about 540 yards; having a type of scan mode that is constant. The product is durable with an advanced Pinsensor technology that offers a fast measurement, moreover, you can capture overlapping objects, although, it is with 1-yard accuracy, and it has a waterproof body. Most of the time, you may find it difficult locating this equipment in the golf cart with a black interior part because the rangefinder itself has a black body structure too. The approximate price of this product is $150, which is smaller than that of COOLSHOT 40, but the functionalities and capacities differ a lot. With its 6x magnification, VPRO500 will surely bring everything closer in detail. +/-1 accuracy and premium, multi-coated optics as well as the finger operation mode makes this device acceptable. It comes with a battery meter and lens display for continuous, fast measurements. 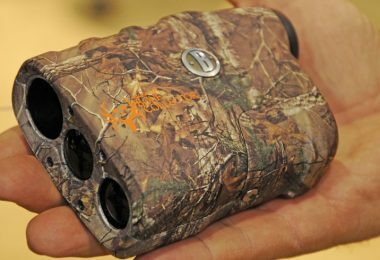 Moreover, unlike other rangefinders, it has an auto-target acquisition technology which allows you to focus only on your target and the pin by sloughing off signals from other large objects. It’s easy to maintain and compact. Not to mention that by weighing only 6.6 oz it might be one of the lightest devices in this category. 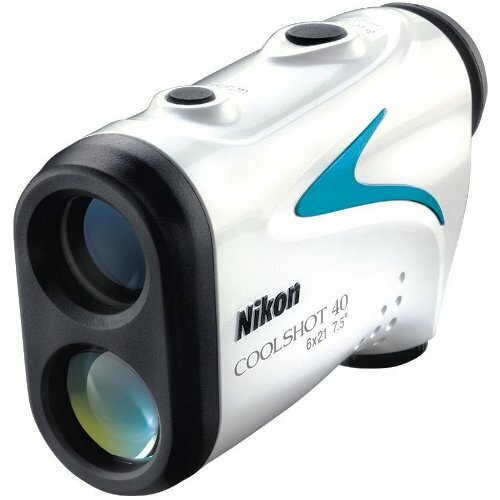 Another great device here is Nikon COOLSHOT 40i Golf Laser Rangefinder that can capture objects and flagsticks from 8 yards to 650 yards with clear optical quality and precision. The product also features a hyper read functionality, that enables it to measure far distance ranges even to lakes, bunkers, fairways, flagsticks, and ponds. Although it’s not very much different from our COOLSHOT 40 model, as it also features an ID technology that facilitates its ability to select a better club for higher or lower shots. It has the potential for an 8-second continuous measurement enabling it to define the distance between multiple objects at a place such as trees, flagsticks, ponds, river, and bunkers. It also features a hyper read mode that provides stable and pretty quick measurements (in only half of a second), no matter at the target’s distance. That said, it mostly has all the features of COOLSHOT 40 but has a higher retail price of approximately $300. It’s up to you to decide on which one is more affordable. 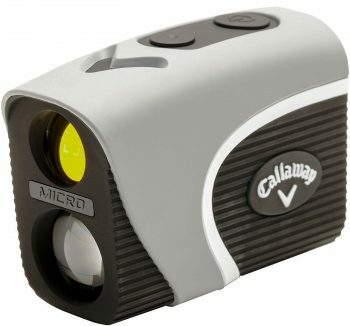 There’s another rangefinder that can capture flagsticks and objects at about 300 yards and display them on the LCD screen and it’s Callaway Golf- Micro Prism Laser Rangefinder. An extremely compact and lightweight device with a soft case designed to hold the system securely. However, unlike the other rangefinders, it can only measure flagsticks and objects within a 300-yard range, and that is pretty less in comparison with a price of approximately $270 which is also a bit more expensive than the price of COOLSHOT 40. It has some nice features though, like being waterproof and fog proof. And we have to mention that it comes with a full package of extras Callaway included, such as the premium carry case, a carabineer, stainless steel Divot Repair Tool, 3 Callaway Chrome Soft (award-winning) golf balls, a clip and 2 sets of 3V batteries that come with the rangefinder. Sounds good for the price, right? 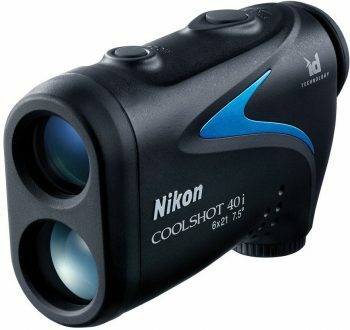 Nikon COOLSHOT 40 Golf Laser Rangefinder is the best tool for beginners and professionals in the game of golf. Moreover, it has the hyper read technology with the ability to give you quick and precise measurements in half yard increment and it is USGA local rule 14 – 3 compliant. An easy-to-use device that can be powered with the simple push of a button. It offers an 8-second continuous measurement of multiple and even small objects, thereby giving you the exact distances amongst them and other dangerous structures within the range. This rangefinder is regarded as weatherproof because it is capable of withstanding inclement weather and rainfall. There is no need to stop enjoying your range finding exercises due to poor weather. That said, let us assess the pros and cons to actually understand the real benefits of using this tool. 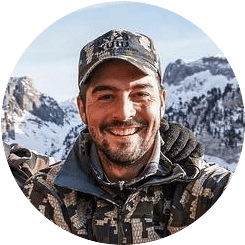 Wouldn’t you consider purchasing a rangefinder that has great capabilities, with fast and accurate measurements, and offers good value for your money? 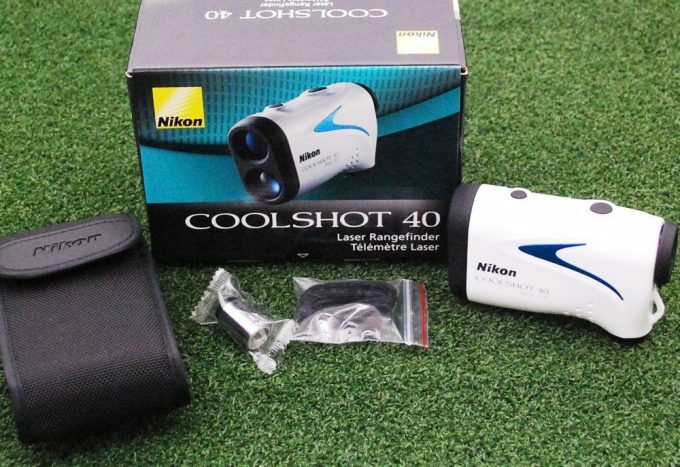 COOLSHOT 40 is one of the best devices needed by amateurs and professionals to enjoy a fantastic golfing experience. Amateurs need it to have a thorough training, while professional golfers and competitors in the tournament need it to improve their skills and be the best in the games. The device has some striking qualities that are considered the unique selling features like first target priority mode, hyper read technology, versatility, durability, and value for money. After considering all these features, pros and cons about the rangefinder, you can then make a buying decision according to your budget. 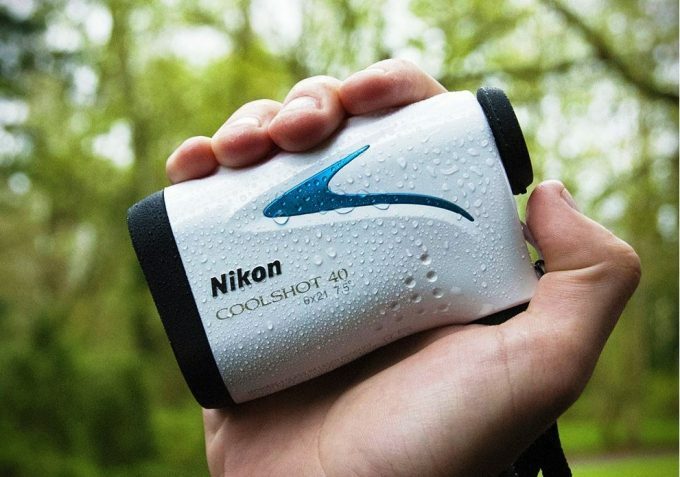 Nikon COOLSHOT 40 is a golf laser rangefinder that is simple to use, lightweight and compact. With a continuous measurement of small and multiple objects in only 8 seconds, you’ll be able to spot exact range distance really fast. Being versatile and durable this rangefinder will worth every cent. Have you tried Nikon COOLSHOT 40 already? What do you think? Would you opt for this rangefinder? Feel free to leave your opinion in the comments section below.